Tara: Everybody, I’m so glad that we have the Kahuna Aloha Spirit with us tonight. I’ve always heard in my many years in Hawaii that that is the closest place on the planet to being in heaven. you might say. Tara: If you want to find heaven on earth come to Hawaii. 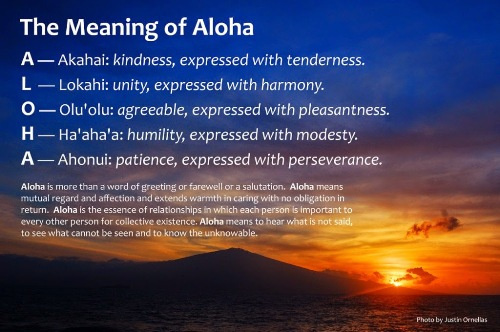 Thank you and may the Kahuna Spirit touch your heart. There is a lot today. Tara: JFK Senior) came on today on The Ed Show. Some of it was garbled up but it was interesting, we couldn’t hear the whole thing. Yet the thing about the Russia election so-called dossier intending to say that somehow the Russians were meddling and the story about that is that there has been absolutely no evidence. And then Diane Feinstein, she defied the Republicans and released the fusion transcript and the person that was most part of that was Mr.Steele and in both of these stories they are linking these stings to Hilary Clinton. That is a very big story and that’s the one you haven’t really heard enough about in terms of setting all of these, no proof at all stories, they are just stories. They have no evidence at all and Bill Binney said something very interesting about that. I’m just going to read a little short part of this because it leads into clearing a lot up, Everyone. So this leads to the report that Rama has been getting in the last three days. I will just say before I even go there, Carolina Oceana Ryan made something very strong in her statement. She was talking about over these change-overs from the old year to the new year, there were many, many circumstances where light workers and everybody were going through feeling like there is something wrong. They don’t want to be here, or they are just emotionally overwhelmed, or they are having mental breakdowns even, and feelings of lack of self worth and disconnection from life purpose, and it goes on and on. And The Collective said, “What is fascinating to us and quite positive and exciting is that all that you describe here, dear one, are exactly the experiences lived by a race of people passing from one era of evolvement and consciousness into another." And this is even bigger than ascension symptoms, as we would say. It’s not about something being wrong and I need to fix it, it goes much deeper. Some people following these groups are claiming that Ascended Masters are supporting this false matrix. This is not about money - period. Rather it is about Consciousness and it is coming to Terra Nova, Tita Lakoria, The Diamond One, as a project orchestrated by our Galactic brothers and sisters in tandem with Faction 3 White Knights, members of the Alien Contact Intelligence Organization, ACIO, at the 38th level above the President. Sweet Angelique The Cat continued, the only event happening is the transfiguration of our Sun and our bodies as we pursue higher and higher frequencies of Love and Light, Peace and Joy with Praise, Respect, Thanks and Love. So that was on the 7th and then on the 8th, which was yesterday (that was Sunday, now this is Monday), Rama spoke with Natasha for about 5 minutes on Monday, yesterday. She spoke of an article from Biblioteca Pleyades called Who Are The Real Israelites by Alex Christopher. She told Rama that this had some disinformation in it due to the Indo-Aryan split, and that’s a very big story. Natasha explained that the people at Biblioteca are like the people at Rumor Mill News.com, both compromised news sites to the Faction 2 level and even at times to the Faction 1 level. They were slowly over time infiltrated by the dark agenda. The real Israelites is the story of the blond, blue eyed Pleiadians who turned to the dark side and posed as the light. This was at the same time at the beginning of the Orion war as Semjaza. And Semjaze is a Pleiadian sister of the seven sisters and she is the dark sister of the Pleiades, turned dark and she brought millions and millions of blond blue-eyed Pleiadians into the Orion War. The remnant seeds of these beings, the fallen angels, are still here within the 13 families fighting tooth and nail to keep war in the story in order to fulfill their dream of overtaking Earth for the continued reign of darkness. Because these ones still have some of their 5th dimensional sidhas and abilities they can mind control through fear uninformed and further misinformed whole populations, and because of their abilities they can still presently appear and disappear and show up and decloak their starships. Thus the question ensues - how do we discriminate the difference? As Peter, Paul and Mary once sang, ‘the answer, my friend, is blowing in the wind.’ Yet the answer is by the resonance between our hearts - as there is any sense of discord, it is a very good time to use deep discernment and to pursue higher knowledge and higher wisdom. And then today the 9th Rama went to see Mr.Fenn, the gallery owner here in Santa Fe. Mr.Fenn has two 10 foot tall Tesla towers in his living room and between them there is a small pool. Ram got into the pool and Mr.Fenn went for a walk. The 2 Tesla towers form a torus field which is like a 5D doughnut formation over the pool that Rama is sitting in. Then Rama took out his crystals, putting some of them in the pool. He took two of them and spun them in his hands. He could hear crackling sounds which are sounds coming from the communication between the Tesla coils. After 15 minutes or so of doing this Rama opened his eyes and there in a holographic image superimposed on a screen in front of him over the torus was Lord Ashtar. listening, Ram, (and I just want to say that this is a very delicate dance with Thom because he’s signed a gag order). between the Light and the Dark, St.Germain and the philosophy of Life and Love. And actually there is a very amazing book and it’s called “The Secret Teachings of All Ages” and this is by a gentleman named Manley Palmer Hall. Manley Palmer Hall was the incarnation of Madame Blavatsky, and Madame Blavatsky was the first Russian woman to become a citizen of the United States and her mission was to begin the Theosophical Society. She started the first one in Madras, India. Then she travelled to London at the request of the royals and she created a Theosophical Society center there and the royals with their bankers asked Madame Blavatsky to bring St.Germain through and all of the Ascended Masters. So she spent decades doing that all over Europe and the sub title of this book is called An Encyclopedic Outline of Masonic, Hermetic, Caballistic and Rosicrucian Symbolical Philosophy, Being an Interpretation of the Secret Teachings Concealed within the Rituals, Allegories and Mysteries of All Ages. So this has been a war between that Heaven - a philosophy of Living in the Light, and the Dark. This is a very powerful time to be alive now. NESARA here now! And Rama, do you want to make a little commentary on your experience and how you feel after you’ve been through this day? Rama: I can say that it has moved light years. It’s the time. And it’s for the Whole because we are in service to all of Humanity. Tara: Blaze the Violet Fire! Rama: Blaze the Violet Fire! Tara: We pass the talking stick back to you, sister Fran.